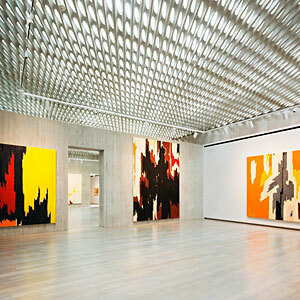 The city’s Golden Triangle has added an abstract expressionist powerhouse to its realm: the Clyfford Still Museum. Pollock and Rothko get all the love, but a visit here will convince you that Still deserves to share the stage. There are nine galleries, all devoted to Still’s works, many of which have never been seen before. Wander the halls and stare at the monumental color-splashed canvases; the space is designed to show them off in different shadow and light.